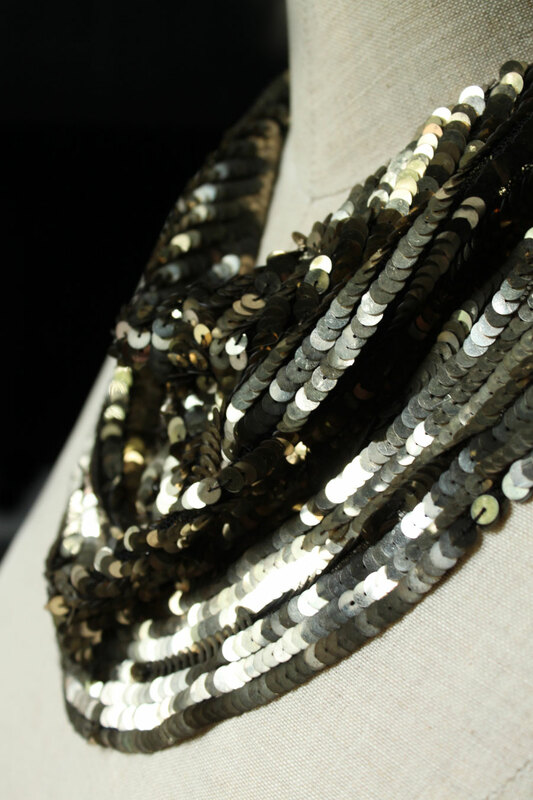 a $2 purchase at the elephant's trunk flea: a sequin collar/bib that I wear as a necklace. 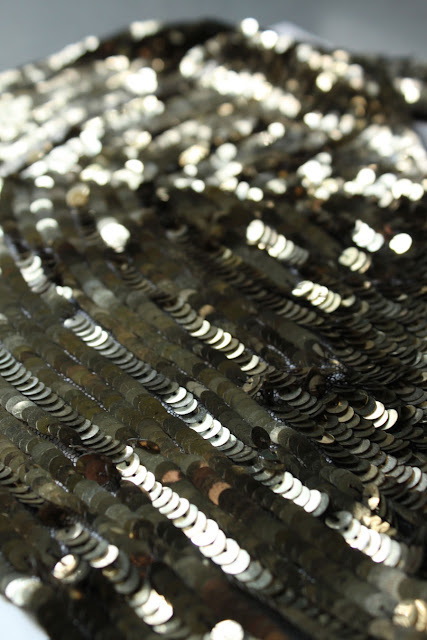 the nice thing about is that the sequins have acquired a gorgeous dusty oxidized patina. priceless.